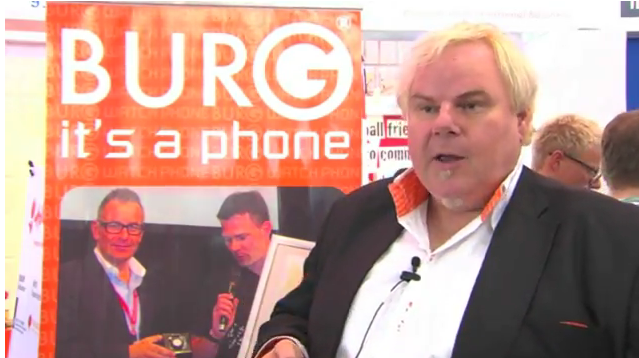 In this video, Hermen van den Burg, CEO of Watchphone discusses the history of his company, and its latest product. For the last three years, they have been developing a watch phone. The watch phone is basically a watch with mobile phone functionality. It is a product that was designed and patented in Holland, though it is manufactured in China. Van den Burg’s enthusiasm for his product is very clear as he describes its many features in the interview. The second part of the video is where Mr. Van den Burg describes the challenges and complexities of launching a technology communication’s device into the market place, from development to launch. According to him, the main risk is that sometimes starting with an idea, a person cannot know what challenges they will face to realize that idea. The biggest challenge for a mobile phone is getting FCC approval for marketing in the US (which is an important market). Van Den Berg himself is a designer, who has worked for several big clients such as Ikea, and that gives him a uniquely aesthetic perspective on his current project. His enthusiasm for it shows in the interview, and it is that enthusiastic description of what he’s working on that consumes much of the interview as well. The video was fun and interesting- Anyone who has seen a spy movie as a child has probably imagined having a watch phone. However, the video is not particularly informative for those seeking advice on breaking into the gadget market or the development process of getting a product designed and ready for international release. The part about how different markets may have different technological requirements was interesting. While the product is interesting, it would have been better to see Mr. Van der Berg describe more how one gets a product on the market, rather than use the interview to discuss his latest project. If you are an entrepreneur then YOU TOO have a story to tell. There are countless emerging entrepreneurs that need guidance and seasoned entrepreneurs looking for new ideas and they both can learn f rom your experience. You can have your story featured here on Entrpreneur21.net. Don't be suprised if your story inspires somebody to do something great. Click HERE to find out how to be a featured entrepreneur! Sharon Rich, CEO of Leadership Inc.
e21 is an exclusive, online business networking platform for the professionals, leaders, and entrepreneurs of the 21st century. It was founded on the principle of Entrepreneurs For Entrepreneurs (E4E).